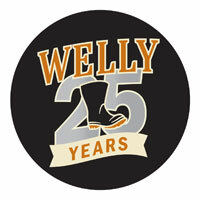 GUELPH, ON – One of Canada’s oldest craft breweries, Wellington Brewery, hit the 25 year milestone this year, and the event is being marked with both a party and a new one-off beer later this month. The celebration will be taking place on Saturday September 25th at the brewery in Guelph, and will feature live entertainment (including headlining band The Sadies), brewery tours, and plenty of food and drink. Along with their line-up of regular beers, Wellington will also be serving a beer brewed especially for the party. Described as “a medium bodied ale using hops grown at Wellington Brewery”, the beer has been named via a contest, and both the name and the beer will be unveiled for the first time at the party. Admission to the family-friendly event is free with a non-perishable food donation to the Guelph Food Bank, and cash donations to Kidsability will also be accepted. For more details, see the Wellington website.